With the rebasing done, it was time to have another go at Tenkatoitsu, to nail down some of the movement distance conversions and get more of a feel for the game. Again, nothing too elaborate in terms of a scenario, just a straight fight between the Oda and Mōri. 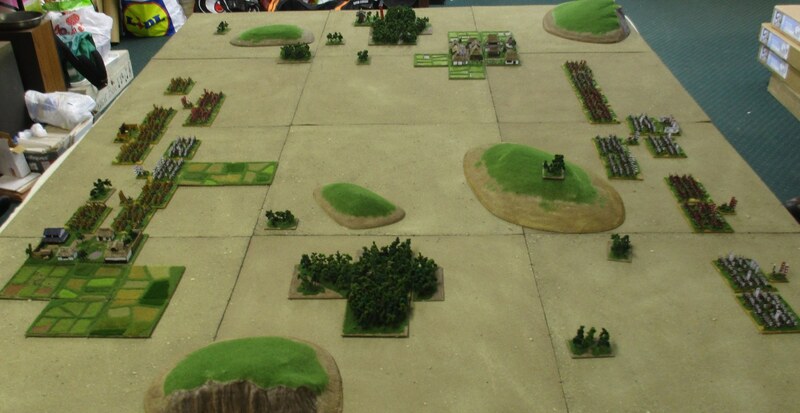 One thing that was immediately apparent was how much quicker it was to set the game up with the new bigger bases. ^ Top down view from the Oda right. ^ And the view from the Oda left. The Oda selected the kuruma gakari ‘Winding wheel’ battle plan, whereas the Mōri went for the gyorin ‘Fish scales’ plan. ^ The Oda plan was to hold one flank and launch successive attacks on the other. The Oda group here is the intended holding force. ^ Battles notwithstanding, that rice won’t pick itself. ^ The Mōri form a line on their left, with the defensive part of the gyorin held in reserve. 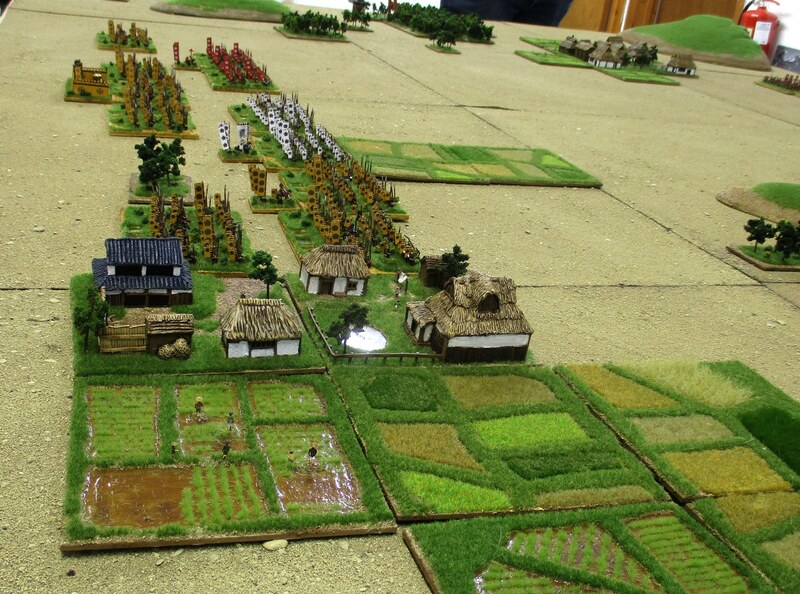 Another group of Mōri advance towards the Oda right. ^ The Oda advance to engage the Mōri. To the right and rear of the Maeda (white banners) is the reserve under Oda Nobunaga, which will be used to hopefully deliver the decisive blow after the Mōri line has been weakened. This is a perfectly reasonable plan under any game that has a predictable turn order……. ^ The Mōri reserve stands firm behind the somewhat unimpressive field defences. Can’t say I’m really looking forward to making another 2 sets of them. ^ The unsupported advance of the Mōri on the Oda right was too much of a temptation, and the Oda in that area are ordered to attack them. The Mōri are caught while moving (green counters represent move orders, red counters mean attack), and badly mauled. 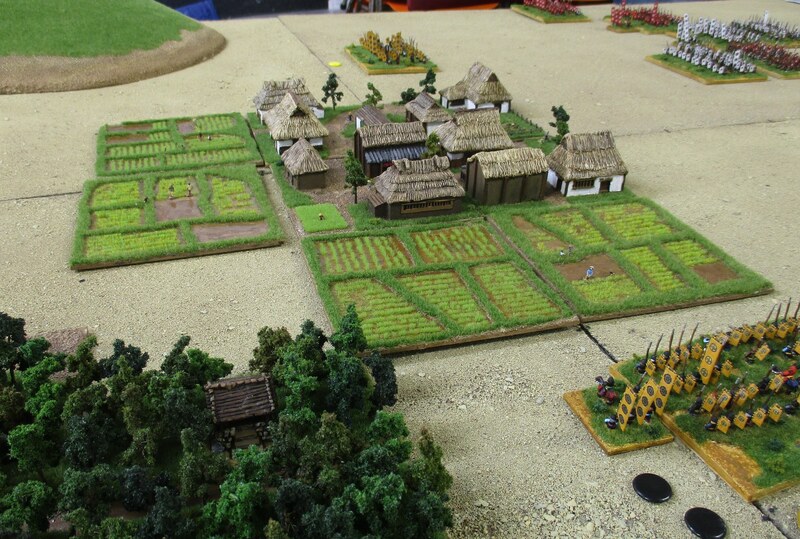 ^ The Mōri disengage and the Oda pursue, leaving some of their division behind. They’re in danger of being counterattacked and it now becomes fairly critical to get them back out of harms way. Messengers are dispatched. Let’s hope their command chit is drawn before the Mōri. ^ That’ll be a ‘no’ then. The Kobayakawa (red) attack in support of the battered Mōri and the Oda are badly beaten. A pursuing remnant can be seen in the top right, but the other two units are defeated. 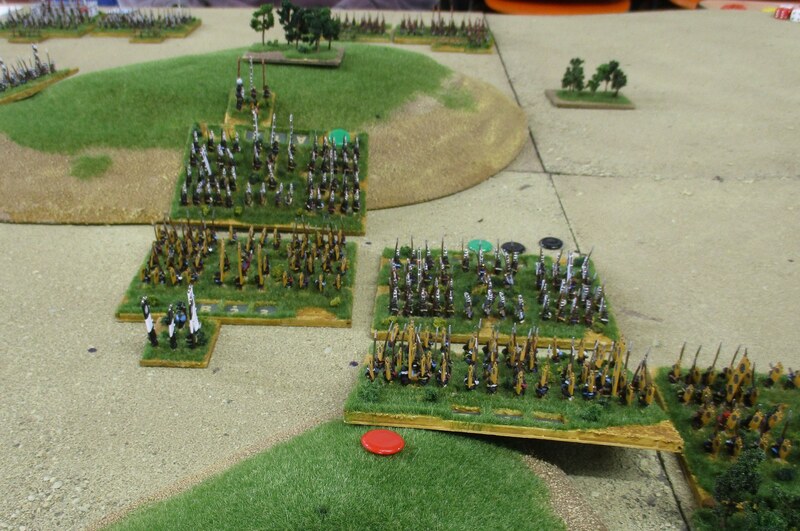 ^ On the other flank, battle is joined. in the background, the yellow banners of Oda Nobunaga can be seen breaking past the Mōri line towards the reserve and the honjin of Mōri Terumoto himself. Again, this pursuit looks a bit rash, and the other Oda troops behind, while winning, may not get to him quickly enough to save him. In the foreground, the two Hashiba units (red) and a smaller Oda unit (yellow) are pushing back the Mōri units of Awaya (red) and Murakami (brown). ^ Nobunaga has pursued the Mōri but his unit is badly depleted (one more black counter and Nobunaga’s own unit is gone). The Maeda have defeated their opponents and rush to help, meanwhile on the left, Hashiba Hideyoshi leads his men towards the Mōri flank. ^ A series of remarkable attacks by the small Oda unit on the left, supported subsequently by Hashiba push the Mōri away so that Nobunaga can withdraw to regroup. The victorious Kobayakawa from the other flank join the fight and are met by the hard-battling Maeda. ^ Nobunaga’s withdrawal went a little further than planned. 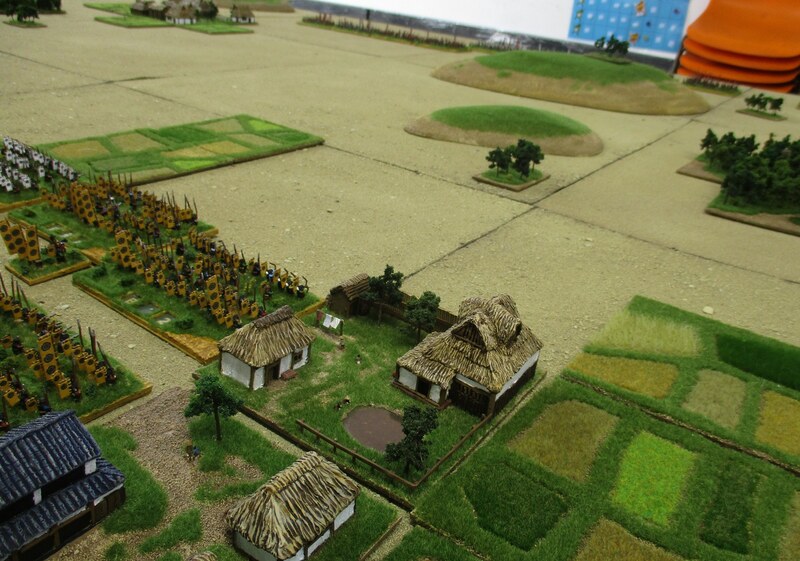 In the distance, the Maeda hold the Kobayakawa, while Hashiba prepares for another assault on the Mōri flank. ^ Mōri Terumoto joins the fighting. Maeda holds off the Kobayakawa, while Hashiba attacks Terumoto. ^ The end for the Mōri. Terumoto is defeated, Maeda is still hanging on. 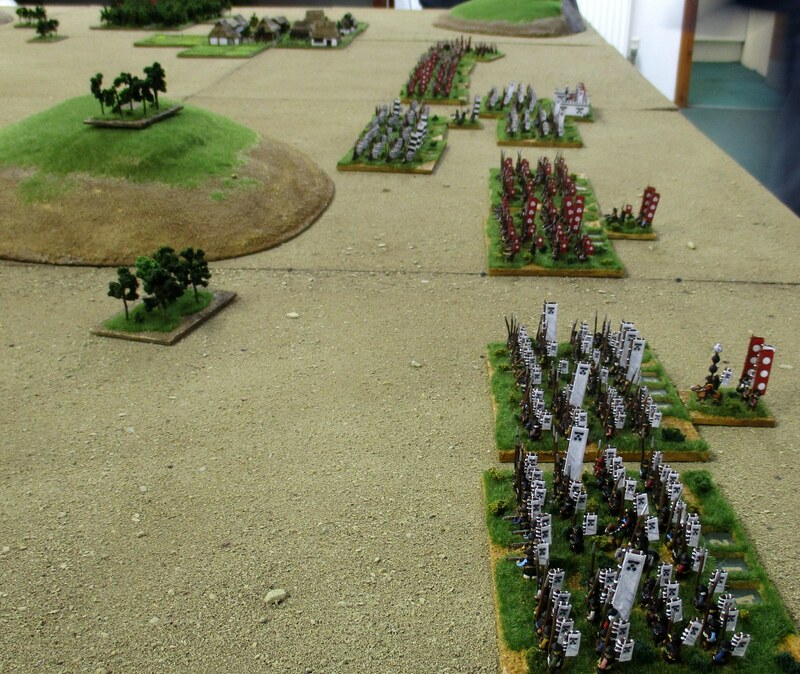 ^ Nobunaga’s view of the battle’s end. Still trying to rally those hits…. This game went well again. Tenkatoitsu makes for an unpredictable battlefield, and in hindsight, the Oda should have been a bit more active in changing orders. 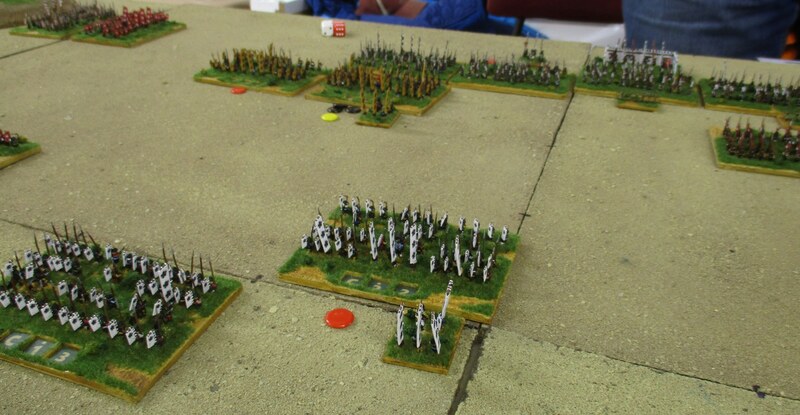 Once troops are in combat, it’s worth changing to defend if you don’t want to risk rash pursuits. Also, as the Oda, I ended up using plenty of attack orders but very few withdraws under the ‘winding wheel’ plan. Here I think, more units would have been useful. A second line is really necessary to pull out your damaged units but also keep the pressure on. The boardgame is played with 30-ish counters a side, whereas we are only using 10-12 units. 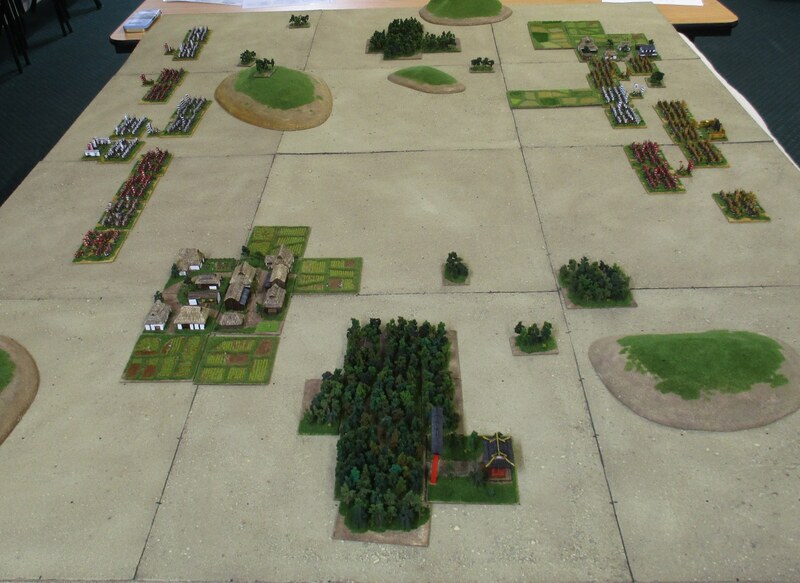 Of course, more units means a bigger battlefield, or at least a more crowded one, as well as more figures of course. While I’d thoroughly recommend Tenkatoitsu as a set of Sengoku Jidai rules, the caveat is that you really need a lot of units, and even in 6mm that’s a lot of figures. 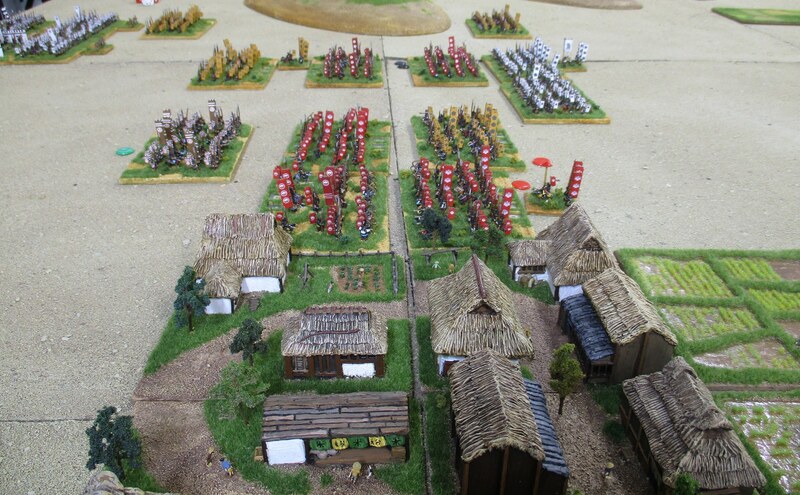 Ultimately you’re probably looking at a game with at least 20 units a side, which may be a problem if you’re doing it in 15mm or 28mm. 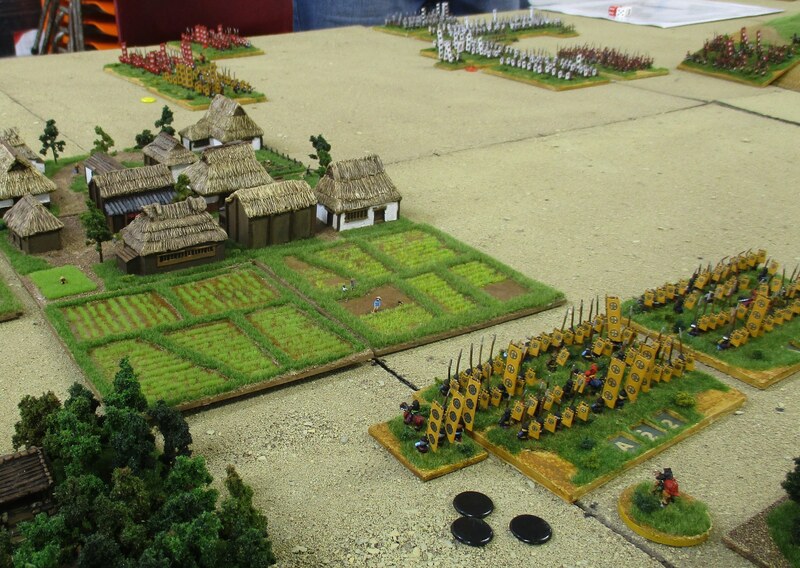 This entry was posted in 6mm, Samurai and tagged 6mm, 6mmSengoku, samurai. Bookmark the permalink. 2 Responses to Sengoku Jidai with Tenkatoitsu. Great stuff- always nice to see game photos as good as yours.